This Swinline "ride-On" inflatable rubber duck is a nice I-catcher for the pool. 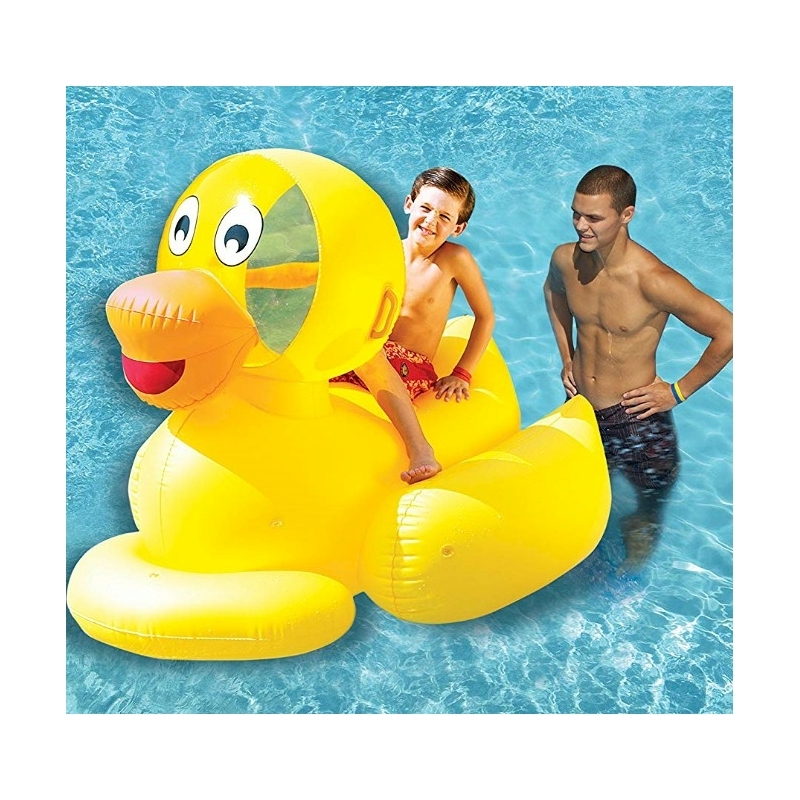 Super fun for children to play on. 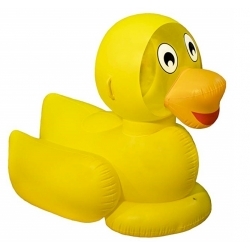 Take this big inflatable duck with you on your holiday. The box he is in is 30x30x9cm. 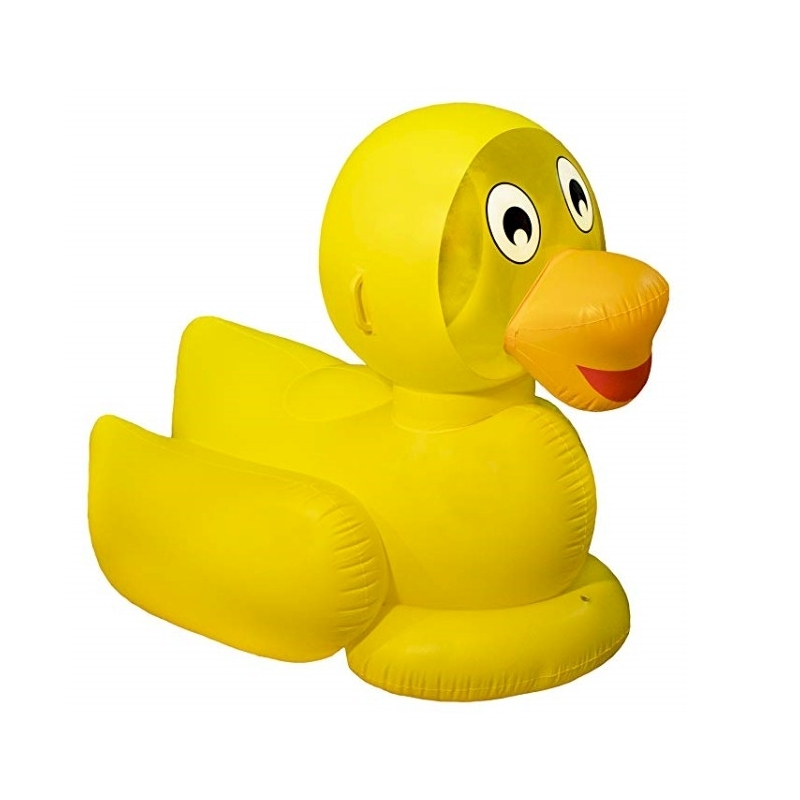 Inflated, the duck has a height of 1.50 and a length of 1.20 cm.